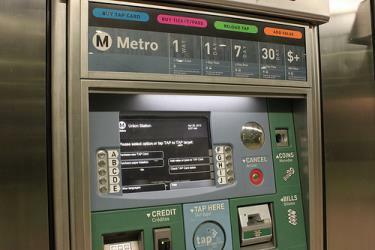 What is the cheapest way to get from Claremont to Santa Monica? The cheapest way to get from Claremont to Santa Monica is to drive which costs $4 - $7 and takes 50m. 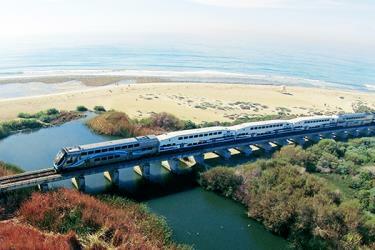 What is the fastest way to get from Claremont to Santa Monica? The quickest way to get from Claremont to Santa Monica is to taxi which costs $200 - $240 and takes 50m. Is there a direct bus between Claremont and Santa Monica? No, there is no direct bus from Claremont to Santa Monica. 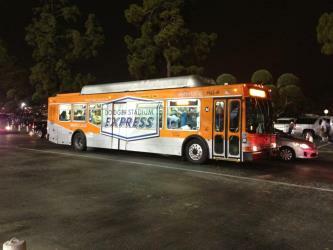 However, there are services departing from Indian Hill Blvd and Bonita Ave E and arriving at Wilshire / Lincoln via Montclair Transit Center and 7th / Olive. The journey, including transfers, takes approximately 3h 14m. How far is it from Claremont to Santa Monica? The distance between Claremont and Santa Monica is 45 miles. The road distance is 48.7 miles. 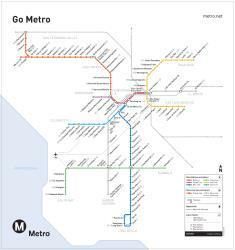 How do I travel from Claremont to Santa Monica without a car? The best way to get from Claremont to Santa Monica without a car is to train and tram which takes 1h 58m and costs $11 - $14. How long does it take to get from Claremont to Santa Monica? 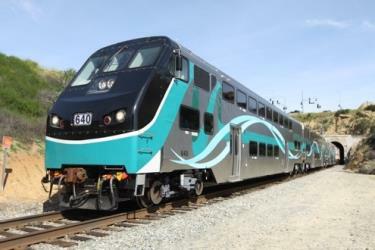 It takes approximately 1h 58m to get from Claremont to Santa Monica, including transfers. Where do I catch the Claremont to Santa Monica bus from? 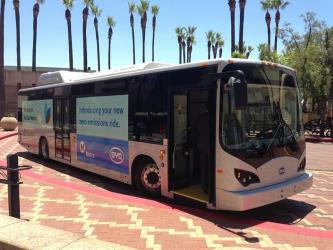 Claremont to Santa Monica bus services, operated by Foothill Transit, depart from Montclair Transit Center station. 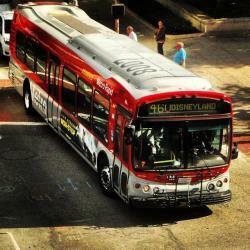 Where does the Claremont to Santa Monica bus arrive? 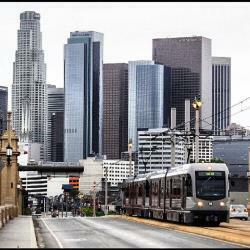 Claremont to Santa Monica bus services, operated by Metro Los Angeles, arrive at Wilshire / Lincoln station. Can I drive from Claremont to Santa Monica? Yes, the driving distance between Claremont to Santa Monica is 49 miles. It takes approximately 50m to drive from Claremont to Santa Monica. Where can I stay near Santa Monica? There are 2767+ hotels available in Santa Monica. Prices start at $114 USD per night. What companies run services between Claremont, CA, USA and Santa Monica, CA, USA? You can take a bus from Claremont to Santa Monica via Montclair Transit Center, Grand Ave and 8th St W, and 7th / Olive in around 3h 14m. Rome2rio's Travel Guide series provide vital information for the global traveller. Read our range of informative guides on popular transport routes and companies - including Travelling Croatia’s Dalmatian Coast by boat, bus, car and train, How to get from Luton Airport into central London and Travelling by boat in Italy - to help you get the most out of your next trip. The University of California, Los Angeles (UCLA) is a public research university in the Westwood district of Los Angeles, California, United States. It became the Southern Branch of the University of California in 1919, making it the second-oldest undergraduate campus of the ten-campus University of California system. It offers 337 undergraduate and graduate degree programs in a wide range of disciplines. UCLA enrolls about 31,000 undergraduate and 13,000 graduate students, and had 119,000 applicants for Fall 2016, including transfer applicants, the most applicants for any American university. The Getty Villa is one of two locations of the J. Paul Getty Museum. Located at the easterly end of the Malibu coast in the Pacific Palisades neighborhood of Los Angeles, California, USA, the Getty Villa is an educational center and museum dedicated to the study of the arts and cultures of ancient Greece, Rome, and Etruria. The collection has 44,000 Greek, Roman, and Etruscan antiquities dating from 6,500 BC to 400 AD, including the Lansdowne Heracles and the Victorious Youth. The UCLA/Getty Master’s Program in Archaeological and Ethnographic Conservation is housed on this campus. The collection is documented and presented through the online GettyGuide as well as through audio tours. 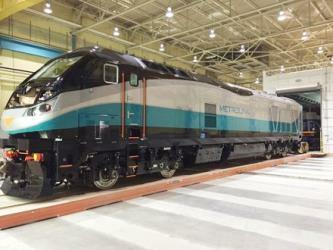 Rome2rio makes travelling from Claremont to Santa Monica easy. Rome2rio is a door-to-door travel information and booking engine, helping you get to and from any location in the world. 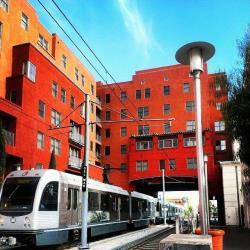 Find all the transport options for your trip from Claremont to Santa Monica right here. Rome2rio displays up to date schedules, route maps, journey times and estimated fares from relevant transport operators, ensuring you can make an informed decision about which option will suit you best. Rome2rio also offers online bookings for selected operators, making reservations easy and straightforward.